Kara Brooke choose Minnie Mouse as her theme for her 3rd birthday party and of course I had to add some zebra print!! The party was Sunday afternoon and it was a NASTY, COLD day in May!!! I was so upset about the weather, everything was supposed to be outside but instead we had to move everything inside. The bounce house was a huge hit and I just knew all those kiddos were going to be sick....but they LOVED it and everything worked out just perfectly and Kara Brooke had a great 3rd birthday party! Once again her cake was adorable!! I knew what I wanted it to look like and gave Valerie at Wild about Cakes my thoughts and ideas and viola....here is her awesome creation!!! It was Yummy too, the top tier was chocolate and the bottom was yellow!!! We had chicken salad sandwiches from Bocceli's, homemade pasta salad, chips and dip and pizza for the kids. As I said earlier it was a great birthday party and Kara Brooke got tons of great presents. We are so blessed by such wonderful family and friends. Today you are 3 years old!! I can not believe that 3 years have past since we first saw your sweet face. 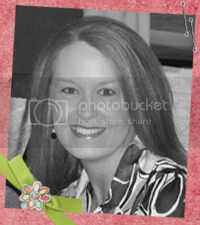 You have been an absolute joy in our lives and we can not imagine life with out you. Your strong will is one of your best assets although some days your strong will makes me want to pull my hair out but I know one day you will be a great leader of some kind. You always know just what you want and there is no changing your mind. You have the funniest personality and we laugh so much at/with you. You love your big sister so much and LOVE going to the ball field with her. She loves you right back, don't get me wrong, even though there are seven years difference in your ages you can still have some knock down fights and arguments!! I hate to say it out loud only because I do not want to jinks it but I'm thinking just maybe you are past the terrible twos!! You have started listening so much better and you don't get in as much trouble as before, you do still have your times. Like in the mornings when we are all three rushed to get out the door. You do still need your nap because that is when you get in the most trouble these days when you do not get one and you get grouchy when you are tired. You get drug to so many ball fields and practices but you LOVE it! You ask almost everyday when I pick you up from daycare if we are going to the ball field! You always have something funny to say and I need to start writing them down just so we can remember everything. When someone ask when your birthday is you always answer, "May in the 12th!" You love Minnie Mouse and you have started watching more TV. You love your baby dolls and you love real live babies...you just can't get enough of them. I bet you will be a great Mommy one day!! You love your toys and you actually play with toys and you can play by yourself. You love to be outside doing anything. Your eating habits have not changed since day one.....you LOVE to eat and will eat almost anything!! You love your friends and you think you should already be having sleepovers just like Sissy, although you will not even spend the night with Nana! Speaking of Nana you love her so much, you are a Nana's girl ALMOST as much as you are a Mommy's girl. You get to stay with Nana quite a bit when we are traveling with Kaylee and her ball team. You two have the best time together and you are so good for her. You are potty trained and have been for a VERY long time except for night and you have no desire to give up your pull ups at night. You weigh about 36 pounds and you are pretty tall, we go soon to the Dr. for your 3 year old check up. You are a very special baby girl and you are so opposite from your sister. You most definitely complete our family of four and we are so thankful that God saved you for us!!! We love you Kara Brooke Adams and Happy Birthday baby girl!! Today it is all about you!! 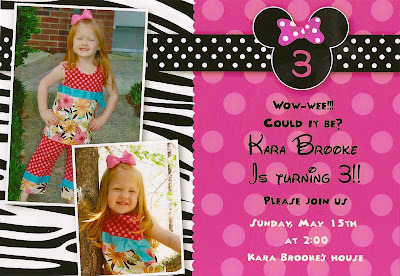 This weekend will be celebrating Kara Brooke's birthday Minnie Mouse and zebra print style!! Can't wait!!! Goodness....you mean the last time I updated this journal was Easter!!! Wow....We have been pretty busy so I'm going to try to catch up. 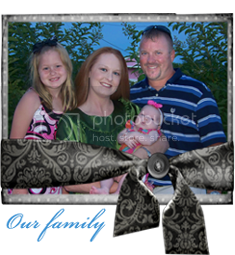 --Kaylee's softball team had a 5 hour practice with a family cookout. The girls had such a great practice and had so much fun. We love our Crusher's family and we are very excited about things to come!! --Kara Brooke won 3rd runner up in a "picture beauty pageant" several months ago and part of her "duties" were to participate in fashion shows modeling children's clothing. I had to work and Kris was at a softball tournament with Kaylee so Nana took on the challenge of KB's first runway debut!! Nana said it wasn't anything fancy but she said Kara Brooke did a great job after she got over her "shyness". LOL!!! --Kaylee's team took 3rd place in their last tournament. They are getting better and better. They beat a really good team to get back in the winners bracket and of course I have to brag a little bit.....the score was tied, Kaylee was on third base and our batter was in a full count. The catcher dropped the ball about 2 feet from her and our coach sent Kaylee to steal home.....I thought I was going to have a heart attack....Kaylee slide in and the catcher laid a tag on her knee but lucky for us, Kaylee's foot got to home base before the tag.....WHOOOHOOO.....CRUSHERS win the game and advance on!!! --Mother's Day was very low key and relaxing. Kris' mom and Tom came and got the girls to go to Toys R Us to pick out KB's birthday present. Kris and I went to Wal-Mart and Lowe's all by ourselves, it was a very nice two hour break. We grilled hamburgers and hotdogs for our parents and had a great evening. The M&M blizzard ice cream cake was so yummy too!! --Kara Brooke did come home with an early birthday present...a hot pink Cadillac Escalade...thanks Tom!!! She loves it!! We finished the evening off with some sweet watermelon!!! --We are gearing up for Kara Brooke's 3rd birthday and next weekend will be her party. I can't believe my baby doll is growing up so fast!! !